C# 2012 Fundamentals LiveLessons Part II picks up from where Part I left off.¿ You begin by exploring Microsoft's LINQ database technology, then move on to a deeper dive into classes and objects.¿ Next comes Paul Deitel's signature treatment of core OOP concepts: inheritance and polymorphism.¿ The lesson ends with an exploration of Microsoft's GUI technology. 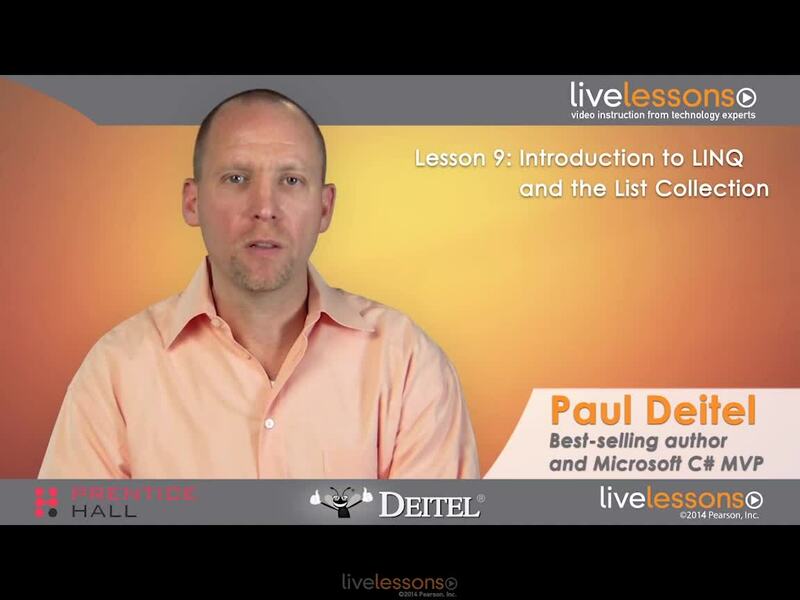 Paul Deitel is co-founder of Deitel & Associates, Inc. and co-author of the best-selling C# 2012 For Programmers, 5/e. He is a Microsoft C# MVP. In this LiveLesson, Paul picks up from where he left off in Part I. He begins with Microsoft's LINQ database technology, then proceeds to a deep treatment of C# classes and objects. Next comes the classic "Deitel treatment" of inheritance and polymorphism. Paul finishes the LiveLesson by covering exception handling and GUI programming with Windows Forms.